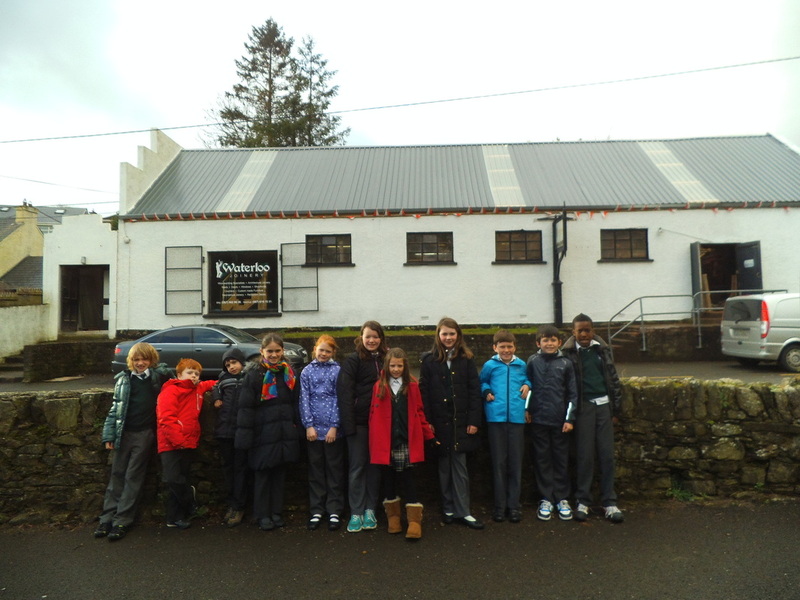 Dhéan rang a ceathair ualach oibre ar thionscadal staire Discover Cork: Schools' Heritage Project i 2013. 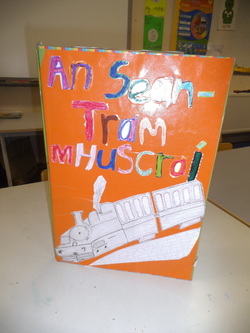 Dhéanadar taighde ar an Sean-Tram Mhuscraí a bhí sa Bhlárnan fadó. 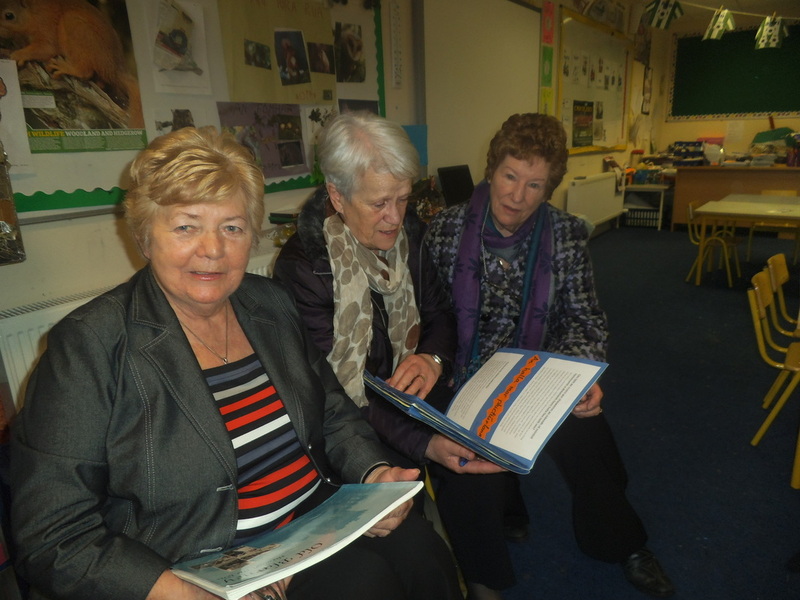 Chuireadar agallaimh ar dhaoine a bhí bainteach leis an dTram, léadh leabhair faoi, d'éisteadar le stairithe áitiúla, tharraingíodar pictiúir, chuadar ar thurasanna agus bhacáíl siad cácaí fiú! 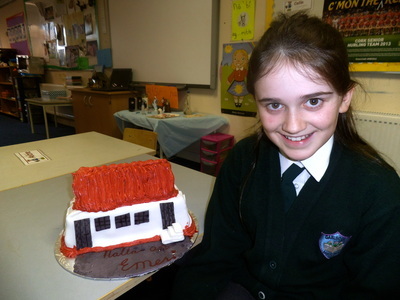 D'oibríodar mar staraí agus d'úsáideadar na scileanna agus coincheapanna stairiúla gur chóir dóibh a fhorbairt agus iad ag tabhairt fén bpróiséis taighde. 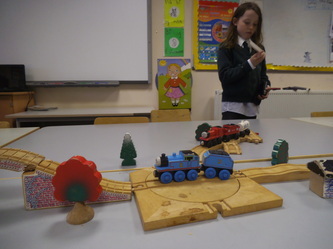 Bhí taispeántas acu sa scoil dá gcuid oibre. 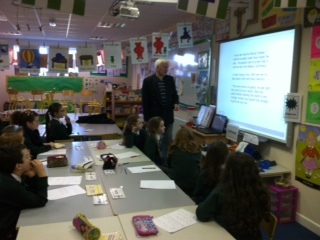 Bhain gach éinne againn taitneamh as ucht a n-obair a fheiscint. Bhaineadar amach an chéad áit ina gcatagóir sa chomórtas. Comhghairdeas leo agus lena múinteoir, Múinteoir Cáít. Fourth class carried out an in-depth study of the Old Muskerry Tram that existed in Blarney as part of the Discover Cork: Schools' History Project. 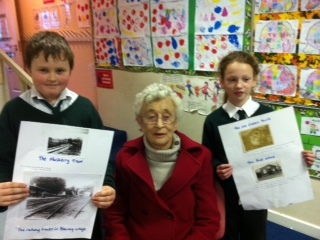 They researched this topic through interviews of former tram workers, hosting local historians, viewing the original tram site, reading, writing and drawing about this interesting theme. 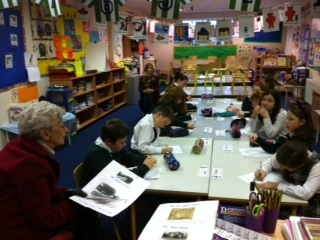 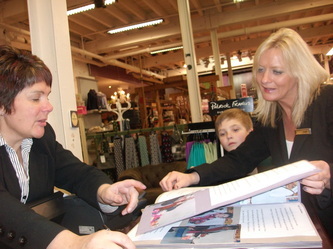 They acted as historians and developed many historical skills and concepts as part of the research process. 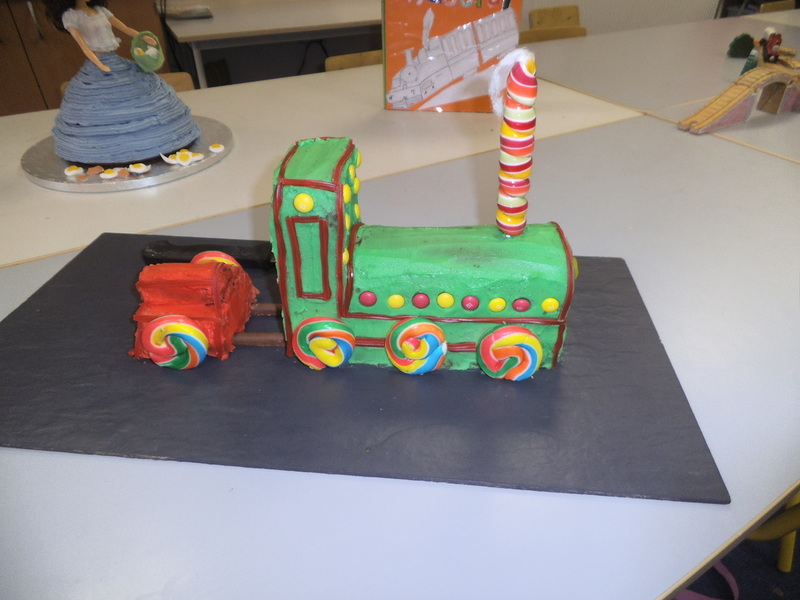 They even baked train-themed cakes courtesy of Liah and Ella A! 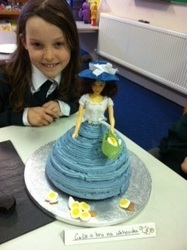 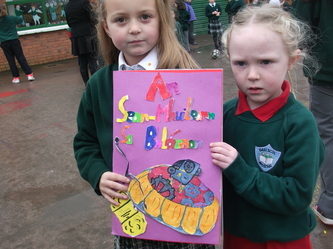 The whole school enjoyed viewing their project work. 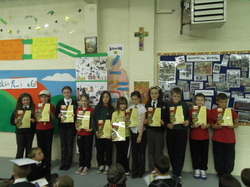 They received first place in their respective project category. 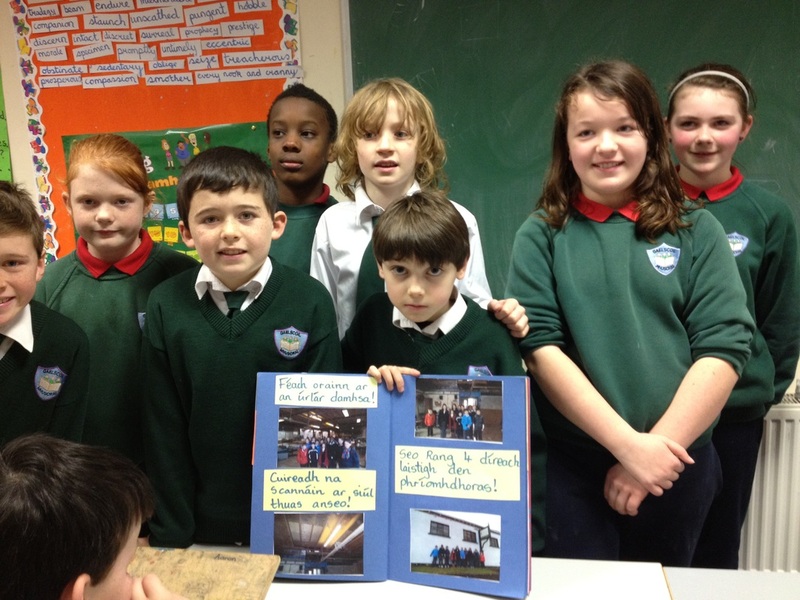 Congratulations to them and their teacher Múinteoir Cáít on their winning project. Dhéan Rang a Ceathair tionscadail ar na Sean-Mhuileann sa Bhlárna agus an cúlra stairiúil a bhaineann leo. Chuireadar, fé stiúir múinteoir Cáit, leabhar le chéile mar chuid de Discover Cork: Schools' Heritage Project. 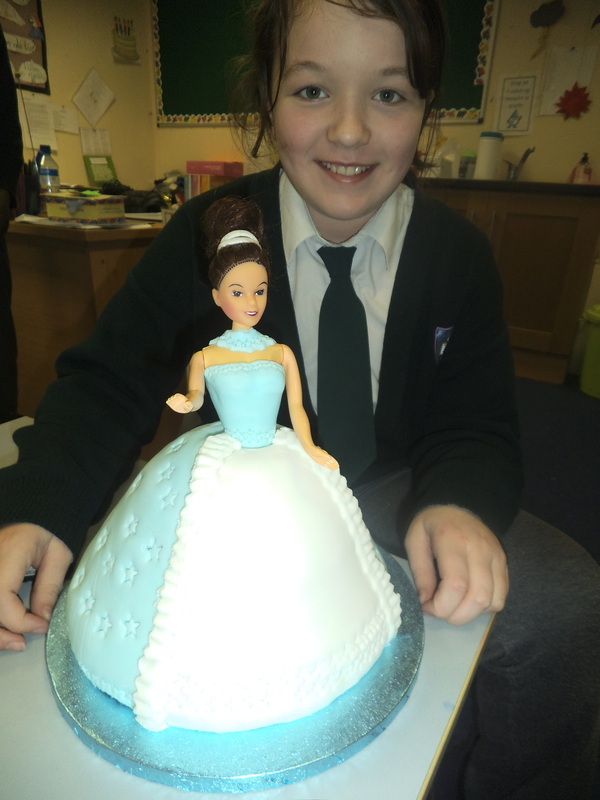 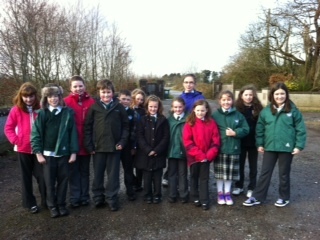 Thaispeanadar a gcuid oibre do phobal na scoile agus bhaineadar amach gradam freisin taréis a gcuid éacht! 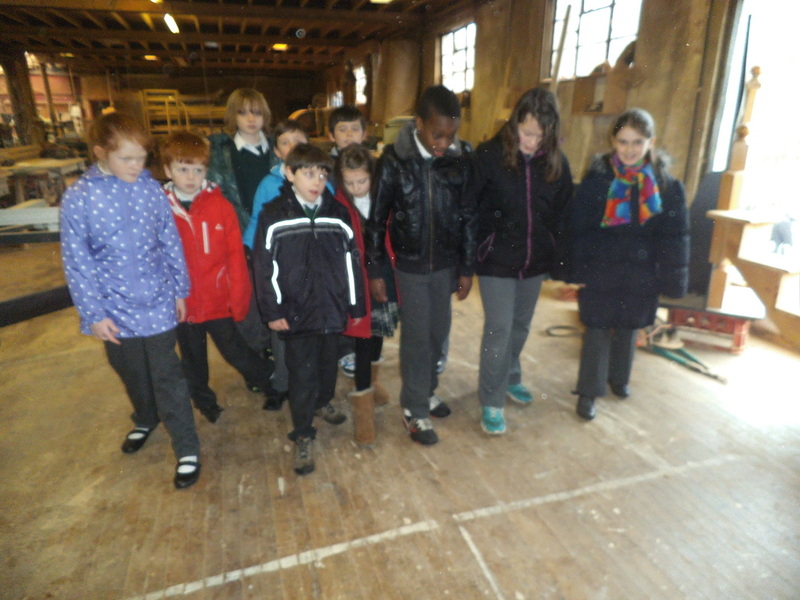 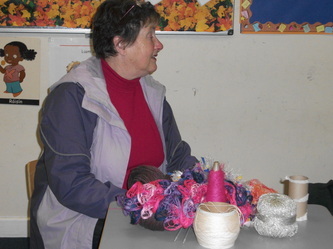 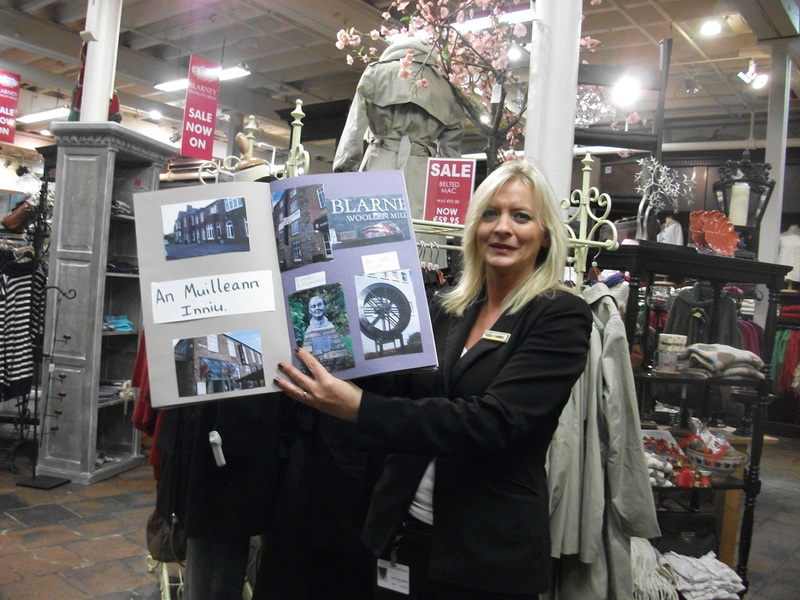 Fourth class completed a local history project on the Blarney Woollen Mills. 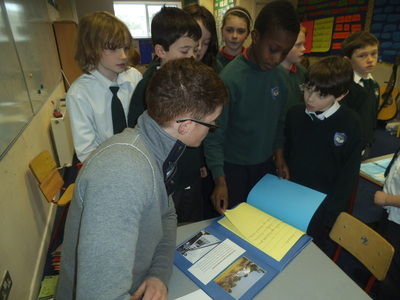 They put together a book showcasing the history of the Mills, displayed their work to the school community and submitted their extensive scrapbook into the Discover Cork: Schools' Heritage Project. 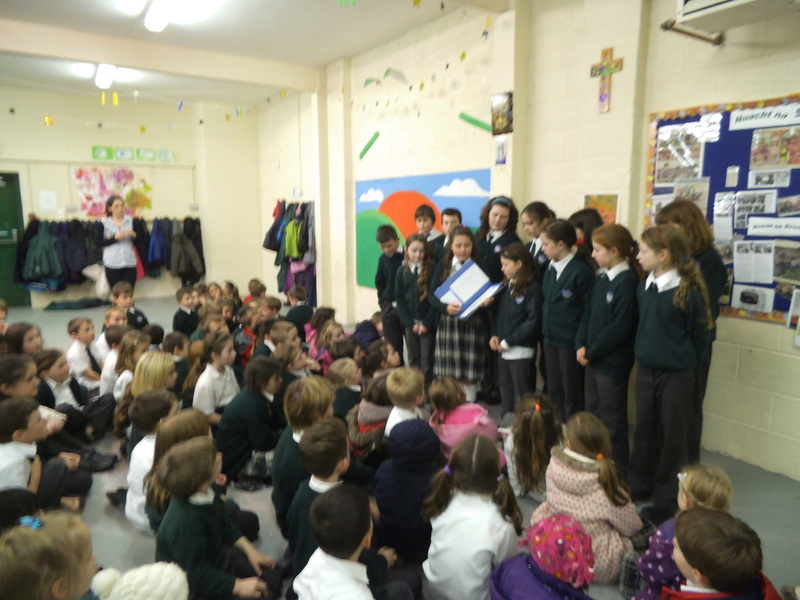 They received special certificates as a result of their efforts. 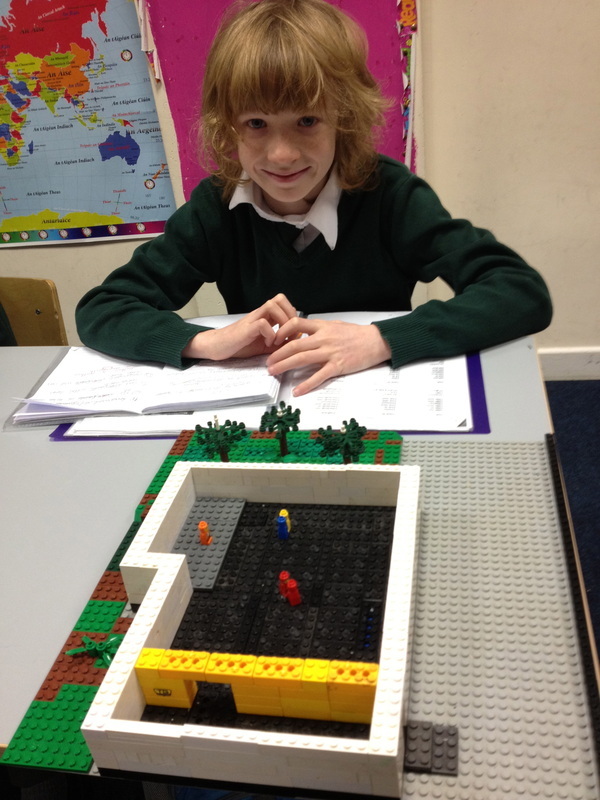 Comhghairdeas leo!